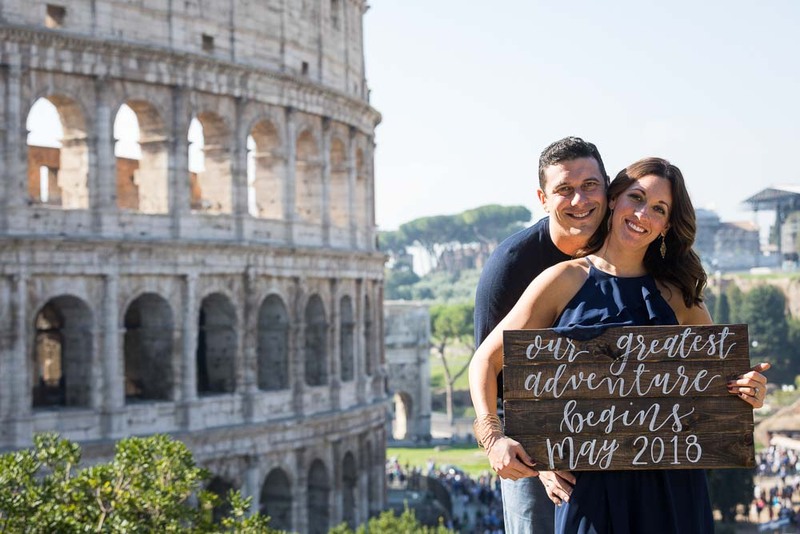 A wonderful honeymoon photo shoot taking pictures across the city of Rome. 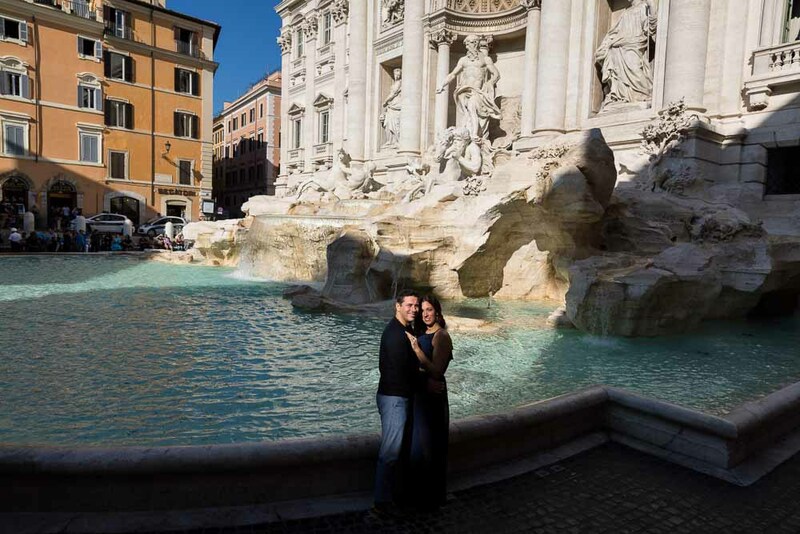 Starting at the Trevi fountain. Finding there just the right light for some nice portrait pictures. Then moving onward to visit the Roman Colosseum. 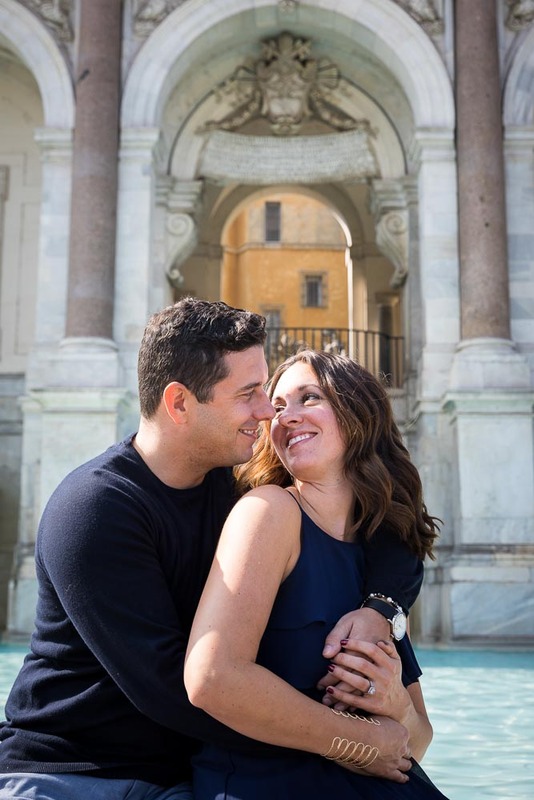 And then heading over to the Janiculum hill to capture some nice pictures by the water fountain. With the incredible roman skyline view as backdrop. And the greatest adventure beginning in 2018!